One of the things that children do not want to hear about is money during or after the divorce. By that I mean how you are going to split your financial assets, child support and how you are both going to live. For most parents splitting up it will be inevitable that one or both of you will end up with a smaller house or even a flat. Some parents have to go back to renting or sharing a flat with other people. Explain to your children that when you were all living together the money that was coming into the house was paying for the mortgage, bills, food and doing nice things for all of you. Now this money has to be split in half. Can they imagine the house being split in two – how many bedrooms would it have and how much ‘living’ room would there be. If they realise that half a house is 2 bedrooms and one ‘living’ room and half a garden they will understand more that this is all your money will buy/rent when you live apart. This all makes sense unless you have one parent remaining in the family home and the other parent living in a much smaller place. So how do you explain mum or dad getting the house and the other parent living in less dignified accommodation that they are used to. It’s not easy to explain as each ‘parent separation’ situation is going to be different. No matter what you tell your children they are going to think it is unfair. I think the best way to approach this is to say that the decision of where mum and dad were going to live was a choice you made together and that the parent who is moving to a smaller place chose to. Don’t suggest to them that it was the other parents idea/doing. As well as mum/dad living in the family home whilst the other parent lives in a much smaller residence, it be also be difficult if one parent continues to spoil the child and the other cannot afford to do so. If you can, try and do the same monetary things with your children so they get the same of ‘financial’ attention. The same goes for gifts. When it comes to birthdays and Christmas try and agree how much you will spend on each child. Children will also worry about how you are living and if there is enough money for you to eat, if you will have enough food when they stay with you to feed you both, pay bills and have money to do activities with them. Give them the reassurance that there is enough money for the basics. There may not be surplus and there may not be luxuries but the most important thing is that you get to spend time with each other and that is invaluable and priceless. It does not cost money to go for a walk or go to the park. There are going to be times for parents when there is very little money because of other priorities such as rent, bills, petrol etc. Share these priorities with your child so that they understand the reason why you aren’t doing something fabulous the forthcoming weekend. It will also teach them about responsibility and the value of money. If your car breaks down explain you have to pay to get it fixed and you did not expect this to happen. If you talk to your children about money they will understand when something is too expensive or out of your price range. They won't be happy about you not buying them something in particular but they will eventually learn to stop pestering for top-of-the-range products and start pestering you for something more affordable instead. When it comes to child support issues avoid arguing and discussing these in front of your children. 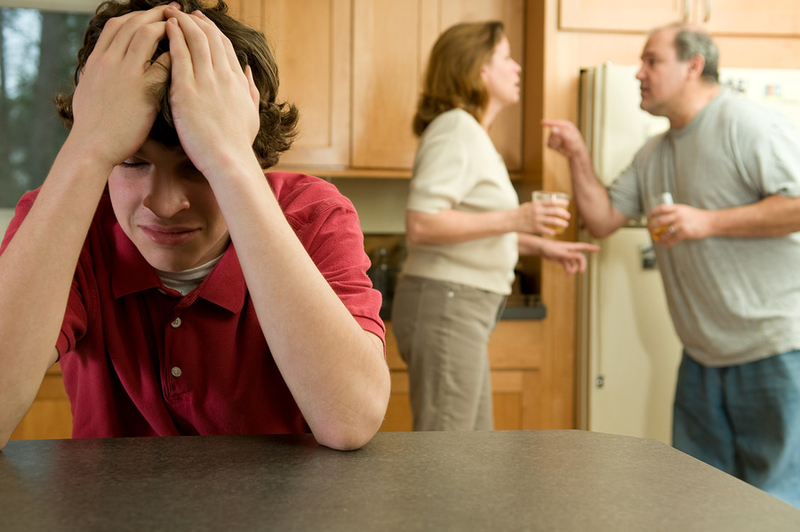 How would you feel if you are that child hearing mum and dad arguing about your financial support? Most children upon hearing this would feel that their existence is some kind of parent's burden. They would also feel scared and worried about their future. Talking about who will pay for what and how money should be spent is an adult issue that the parents should discuss confidentiality between themselves. Children can get very stressed about money. They kind of panic if they see you don’t have enough for the basics. If your child is scared there isn’t enough and they want to help, suggest they do chores for other people like car washing or a paper round to earn their own money for some of the things they really want. Keep your children emotionally safe from the unnecessary money worries you have and they will be much happier and feel more secure.